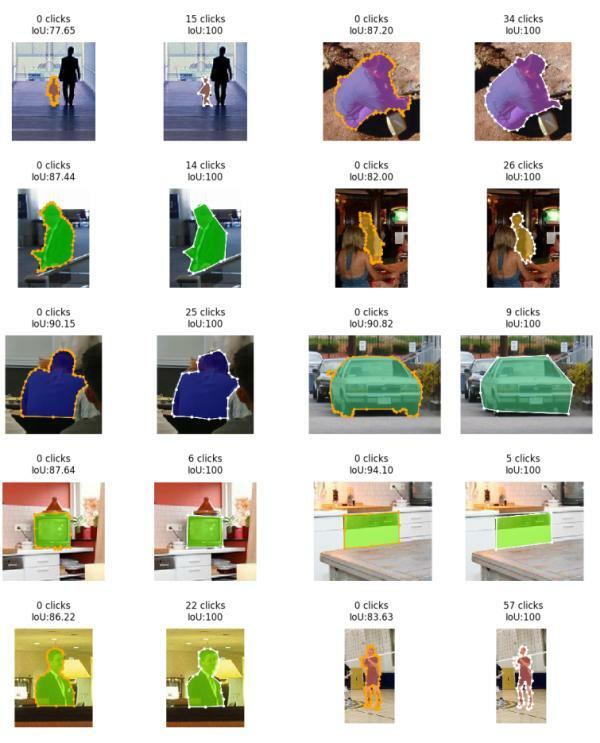 We learn to predict interactive polygonal annotations of objects to make human annotation of segmentation datasets much faster. Manually labeling datasets with object masks is extremely time consuming. 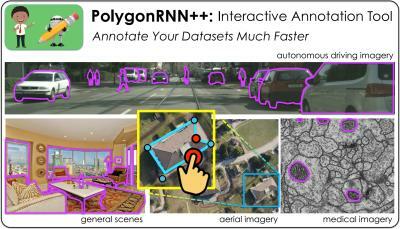 In this work, we follow the idea of PolygonRNN to produce polygonal annotations of objects interactively using humans-in-the-loop. We introduce several important improvements to the model: 1) we design a new CNN encoder architecture, 2) show how to effectively train the model with Reinforcement Learning, and 3) significantly increase the output resolution using a Graph Neural Network, allowing the model to accurately annotate highresolution objects in images. Extensive evaluation on the Cityscapes dataset shows that our model, which we refer to as Polygon-RNN++, significantly outperforms the original model in both automatic (10% absolute and 16% relative improvement in mean IoU) and interactive modes (requiring 50% fewer clicks by annotators). We further analyze the cross-domain scenario in which our model is trained on one dataset, and used out of the box on datasets from varying domains. 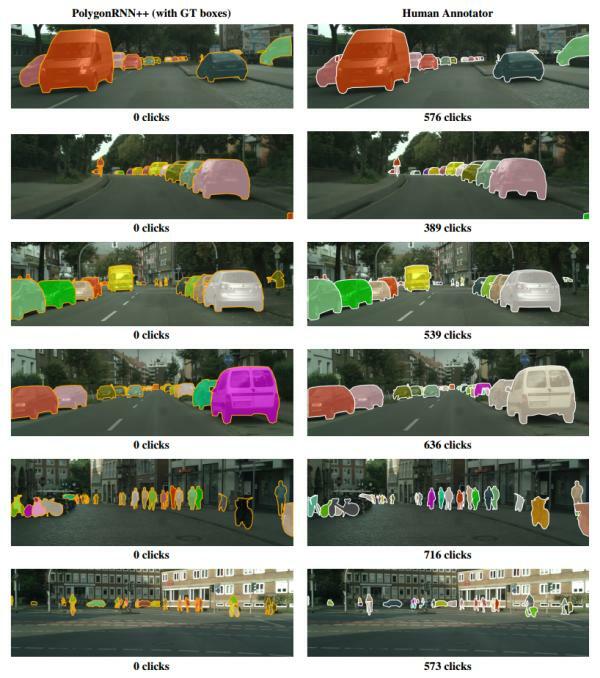 The results show that Polygon-RNN++ exhibits powerful generalization capabilities, achieving significant improvements over existing pixel-wise methods. Using simple online fine-tuning we further achieve a high reduction in annotation time for new datasets, moving a step closer towards an interactive annotation tool to be used in practice. [16 August 2018] Our tool is now open to the public! [10 July 2018] Now accepting requests for online tool demo! Please fill the form! We gratefully acknowledge NVIDIA corporation for the donation of GPUs used for this research. This webpage template was borrowed from Richard Zhang.